ASUS has pushed ahead with its $250 ZenWatch 3 this year, but ASUS will be alone in 2016, it seems. According to a new report, LG, Motorola, and Huawei executives say that they're taking a time-out this year and that they don't plan to release new Android Wear smartwatches for 2016. LG has released the Watch Urbane LTE Second Edition earlier this year, but that's it for the Korean OEM in Google's wearables platform for 2016. According to the source, the industry's desire for smartwatches is waning, with few consumers seeing the need for full-blown smartwatches. Since health seems to be the push behind fitness trackers and wearables, companies like Apple are pushing forward in that direction with the Apple Watch 2 while Samsung has decided to maintain its mainstream success with the Gear S3 Frontier and Gear S3 Classic -- two smartwatches that cater to the fashionable consumer who is turned off by a wearable that doesn't go good with a suit. The Gear S3 has seen a reaction from females who believe they were abandoned in the Gear S3 design, but Korean giant Samsung says that men are the mainstream consumer picking up smartwatches. I see "men's" and "women's" smartwatches as a bad idea, though, so I'll be happily picking up the Gear S3 Frontier for my personal collection. Fitness remains the reason behind wearables, with many preferring more inexpensive wearables like fitness trackers, but the push has been to bring wearables mainstream - particularly the more expensive smartwatches. 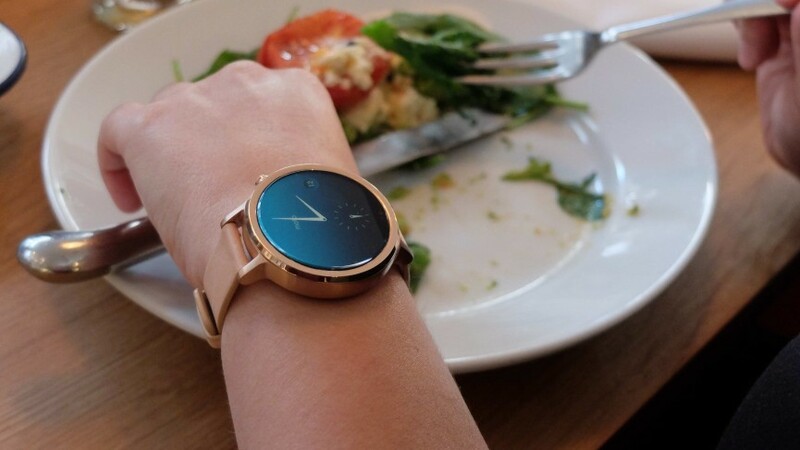 Consumers are also heralding the rise of analog smartwatches that look like regular watches to the eye at first glance but offer some smart capabilities (not too many, consumers say). Hopefully, this stance means that 1) the latest from these 3 OEMs will receive an additional year of support than would have been the case if they had released new smartwatches for 2016, and 2) the prices of current Android Wear smartwatches will drop significantly, encouraging those with smaller pockets to invest. With the major Android Wear players taking a time-out, and Samsung saying that it doesn't intend to continue its Android Wear smartwatch journey, it's probably safe to say that the long-rumored HTC smartwatch won't arrive to market this year, either.